The Citroën Xsara was a small family car (C-segment in Europe) produced by the French automaker Citroën from 1997 to 2006. The Xsara was a development of the Citroën ZX and Peugeot 306, which shared a platform and running gear. It came in three and five door hatchback (notchback) and five door estate body styles; the estate was marketed as the Break and the three door as the Coupé. The styling shared cues with the larger Bertone designed Xantia, but was regarded as bland by the motoring press. The straight four engine range includes 1.4, 1.6, 1.8 and 2.0 litre petrol engines as well as 1.6, 1.9 and 2.0 litre naturally aspirated and turbocharged diesels. In some countries, such as Portugal, the 1.5 litre TUD5 diesel engine was also available. The Xsara was 1998 Semperit Irish Car of the Year in Ireland. The familiar range of PSA powertrains drove the front wheels of a seemingly conventionally designed chassis. At the front was a standard MacPherson strut layout with anti-roll bar, while the rear used the PSA Peugeot-Citroën fully independent trailing arm/torsion bar set up, which was first introduced on the estate of the Peugeot 305. However, PSA's chassis engineers employed some unusual features, including passive rear wheel steering, though less than on the ZX, (by means of specially designed compliance bushes in the rear suspension), and inhouse developed and constructed shock absorbers. At high mileages, this is prone to wear of the axle mounting bushes which is easily fixed. It is also prone to wear in the rear axle trailing arm bearings, which then wear the trailing arm axle tubes, requiring an expensive rebuild or a replacement axle assembly. The diesel and larger capacity petrol engines are canted as far back as possible in the engine bay, in an effort to put as much weight as possible behind the front axle line, also reducing the centre of gravity, while improving weight distribution and minimising understeer. In September 2000, the Xsara was facelifted. The car was now stiffer (safety and handling improved), had a new front design and some interior modifications (i.e. : new steering wheel). The facelift also saw the introduction of multiplex wiring. However, the wiring used was too thin, resulting in multiple wires breaking with frequent use, especially in the driver's door, thereby rendering the driver's door window, central locking and interior lights unusable. Citroën do not acknowledge this as a problem, and do not issue door wiring harnesses as a spare. 1.4L (1361 cc 8 valve SOHC) 55 kW (74 hp) TU3JP four cylinder petrol 121 N·m (catalyst and its position were changed). The model of 2002 had slight interior modifications (e.g. a different way of controlling the sound system from the steering wheel). In February 2003, there were also some exterior modifications (e.g. new front bumper). The Xsara hatchback was discontinued, and replaced by the C4 in November 2004. The Xsara continues to be produced for the Chinese market by Dongfeng Peugeot-Citroën Automobile, a joint venture with the PSA Group. The Xsara Picasso small MPV was continued, concurrently with its successor that was based on the C4. 'Picasso' becoming the name for MPV derivatives of any Citroën model. The Xsara World Rally Car, based on the road going Xsara hatchback but ultimately having very little resemblance to it under the skin, was one of the most successful cars ever to compete in the World Rally Championship. In 1999, the WRCs predecessor, the two wheel drive naturally aspirated Xsara Kit Car, won overall in Rallye Catalunya and Tour de Corse. This car was considered the best car in the class. The late Philippe Bugalski placed seventh overall and won the Kit Car F2 class. In 2001, Kit Cars category disappeared and was replaced by Super 1600 and Super 2000. Citroën Xsara competed in the category of World Rally Car. In 2002, French driver Sébastien Loeb was supposed to win the Monte Carlo Rally but he was penalized for an illegal tyre change, but he later won the Deutschland Rally. In 2003, the Citroën Xsara was more competitive. In Wales GB, the leader Richard Burns suffered a blackout and withdrew from the rally. Sébastien Loeb made some mistakes on the last round and he lost the championship by just one point. However, the Citroën won the manufacturers' title and in 2004 Sébastien loeb won the championship. The car took Sébastien Loeb to 28 rally wins, three consecutive Driver's Championship titles from 2004 to 2006, and Citroën to three consecutive Manufacturer's Championship titles in 2003, 2004, and 2005. Although it is the Frenchman who has proved the archetype Xsara WRC pilot virtually since its 2001 conception, Jesús Puras, Carlos Sainz and François Duval are the other drivers who have won. The car was replaced in 2007 by the Citroën C4 WRC, however the Xsara was still used by privateers and others. 2003 world champion Petter Solberg drove a 2006 spec Xsara for the majority of the season of 2009, which was entered by his own Petter Solberg World Rally Team. Kenneth Hansen won the FIA European Rallycross Championship every year from 2000 to 2005. In September 2014, French based Lebanese businessman Nabil Karam entered the 2014 World RX of France with an Xsara, finishing 34th out of 37 entrants after the qualifying heats, and failing to qualify for the semi finals. Having upgraded to a DS3 for the 2015 edition, this is the only time an Xsara has been used in a World Championship rallycross event. 2012 1,800 TBA Total production reaches 3,364,000 units. ^ "Zx Volcane Rear Suspension". Citroen Owners Club. The citroen cars forums. ^ "ZX rear swing arm bearings - Technical matters - Back Room Forum - Honest John". honestjohn.co.uk. 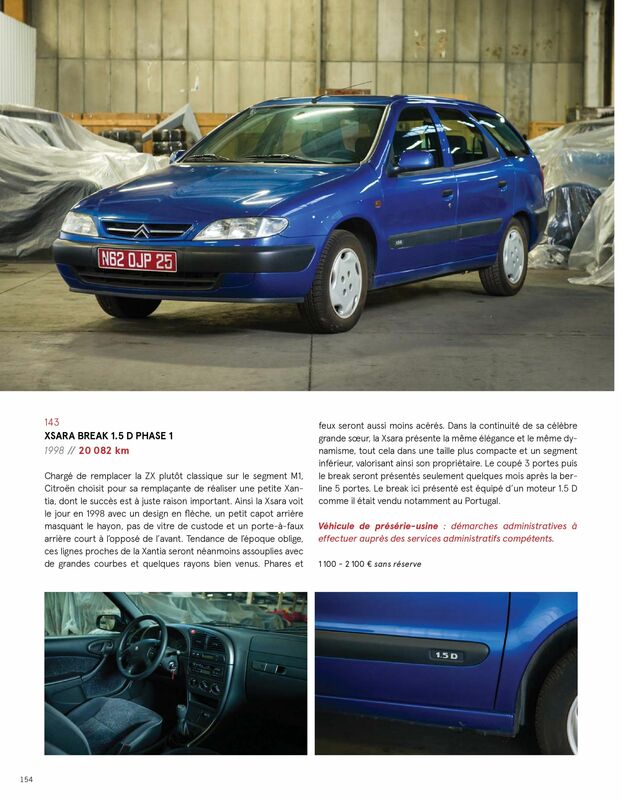 ^ "Citroen ZX Suspension and steering". Docstoc.com. ^ "ZX Radius arm bearings - French Car Forum". frenchcarforum.co.uk. ^ "A B Axles - Reconditioned and Refurbished Peugeot & Citroen Rear Axles". sspengineering.co.uk. ^ "World Rally Championship – Rallies". Wrc.com. Archived from the original on 8 July 2009. Retrieved 6 October 2009. Wikimedia Commons has media related to Citroën Xsara.